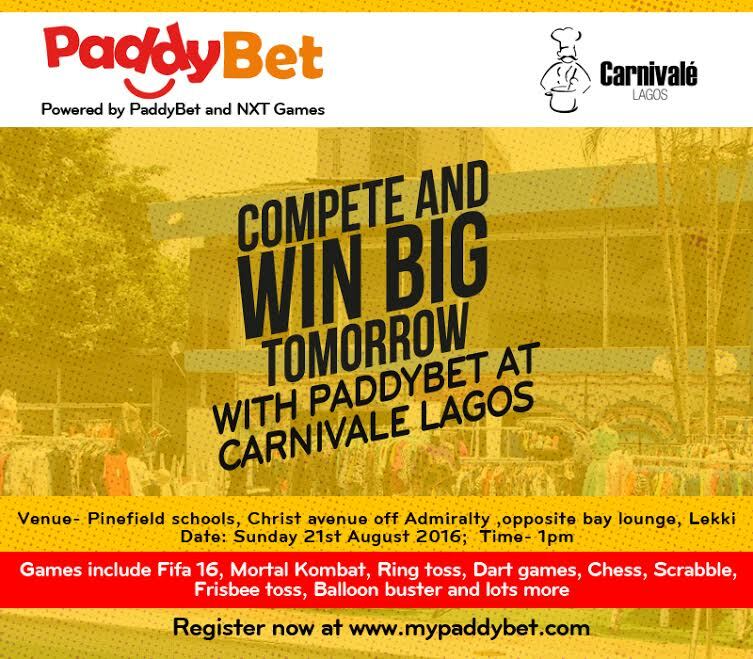 PaddyBet & Carnival Lagos bring you an exciting opportunity to make money by challenging your friends to some of your favourite games. Carnival Lagos is an Urban Lifestyle, Shopping & Food Festival, perfect for chilling out with fiends and generally just having fun. 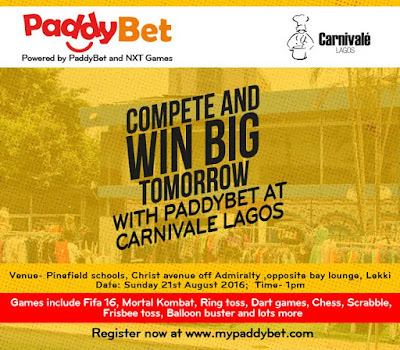 We are building a whole game and fun park section, whereby people can join PaddyBet, challenge your friends to different games and stand a chance to make money. Challenge eachother togames like Fifa 2016, Mortal Kombat and so much more.